Serving clients throughout Charlotte area for more than 40 years When you have a either a trust administration or litigation matter to deal with, you will need the help of an attorney with the experience and knowledge necessary to get you the positive results you deserve. At the North Carolina law office of G. Miller Jordan, we have served clients dealing with these matters all throughout the Greater Charlotte Metropolitan Area for more than 40 years. This familiarity with the legal system enables us to know exactly how to get you positive results on your case. An experienced law firm with a dedication to community At the Charlotte, North Carolina law office of G. Miller Jordan, we provide each of our clients with: -Vast legal resources - In addition to attorney Jordan, we have a well trained staff of four that includes an experienced attorney and a legal research assistant (retired attorney) that pool their knowledge to help your case. The staff researches the complexities of your situation and helps Attorney Jordan with his work as he strives to give your case the care and attention it deserves. -Knowledgeable representation - With more than 40 years of experience, Attorney Jordan has proven himself to be an effective legal mind in the area of trust administration and litigation. 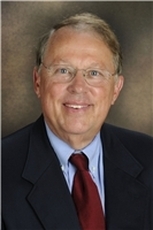 In addition to satisfying clients, he has received an AV Preeminent Peer Review Rating by Martindale-Hubbell, the highest recognition possible in the legal industry, for his professionalism and ethics and was selected in 2011 as a member of the Legal Elite of Top Tarheel Lawyers as published by Business North Carolina magazine. -A practice focused on community - Attorney Jordan is a lifelong resident of North Carolina. He is involved in numerous civic activities, and he is a board member and former president of the Charlotte Trolley, Inc., which has had the primary role in the promotion and implementation of historic trolley service in Charlotte. Areas of practice The law office of G. Miller Jordan handles cases throughout Charlotte, North Carolina in areas including: -Estate litigation - When family strife breaks out over the last wishes of a loved one, our estate litigation services can help you come to a resolution of these complex problems in court. -Elder law - As you grow older, you need an experienced elder law attorney to help guide you through the unique challenges faced by seniors. -Wills and trusts - Don't leave your future to the last minute. Our wills and trusts services can ensure that your final wishes are carried out. -Estate Administration - We can handle and assist your estate administration needs regarding wills, trusts, guardianship and power of attorney. -Civil Litigation - When you or your business need representation, we have the experience and ability to resolve your case. -Guardianship - If a loved one can no longer manage their personal or financial affairs and needs protective services, we can assist in having a guardian appointed. Ensuring that your loved one's last wishes are fulfilled The death of a loved one is always a painful occurrence. Unfortunately, that pain is too often compounded by problems in the estate that cause disputes among heirs and beneficiaries. If you suspect that a will or its execution does not reflect the wishes of the deceased, you have a right to challenge the proceedings in probate court. At the Charlotte, North Carolina law office of G. Miller Jordan, we have represented aggrieved parties in probate cases for more than 40 years. We are ready to help you in inheritance controversies arising from: -Lack of capacity -Undue influence -Breach of fiduciary duty Preventing exploitation of the elderly Many probate disputes stem from suspicions that a particular individual took advantage of the declining health or dementia of the deceased to insinuate himself into the will to the detriment of the rightful heirs. We are familiar with such cases and know exactly what kind of evidence is necessary to make a showing of undue influence or lack of capacity. If a caretaker or family member manipulated an unfair change in the will, that change can be invalidated. Demanding accountability and fairness The individual chosen to be the personal representative of the estate or to hold power of attorney has a fiduciary duty to dispatch his obligations professionally and in accordance with the wishes of the testator. Any deliberate fraud or negligence in accounting for assets can and should be challenged in probate. We have vast experience dealing with estate matters, and we can form a quick and accurate appraisal of whether matters are being handled competently and honestly. Don't expect success if you handle objections yourself Many beneficiaries hesitate to hire an attorney because they trust the probate court to do what is fair or because they wish to keep a family dispute within the family. However, there are things you should consider before attempting to handle a probate issue yourself. The court is not an investigative body. Just because you bring up an issue does not mean that the judge is obligated to search for supporting evidence. You can present allegations, but without the firm basis that a professional attorney can provide, your suspicions may receive little consideration. Moreover, a seasoned attorney who has been through probate negotiations before is likely to produce a settlement that satisfies all parties and enables the proceedings to move forward at less cost to the estate. Undergraduate: Wake Forest University, B.A. Law School: Wake Forest University, J.D.